The Recycling Olympic Games (ROG) is an alternative sports event that is focused on creative waste reuse. During ROG, international teams compete for the title of “UpCycling Champion” -- and a trophy! 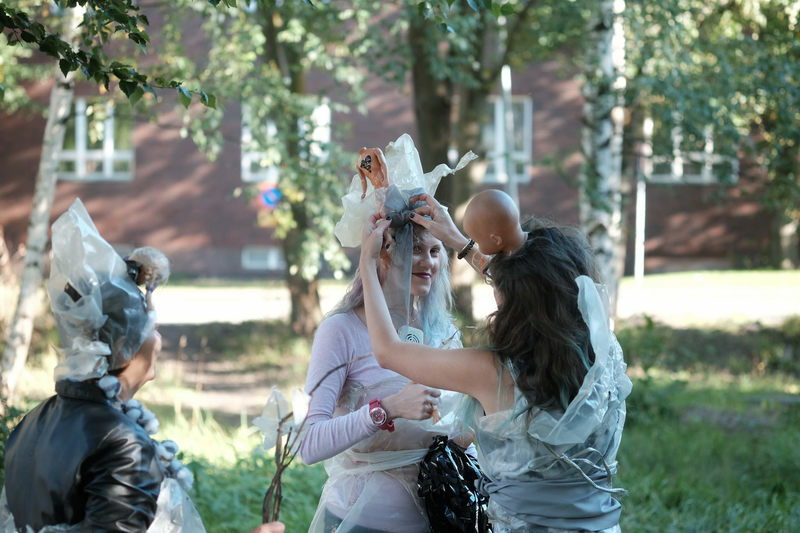 The project enables situation-specific creative production and performative actions to be happening at the site of ROG (and around Helsinki) for the duration of the games. 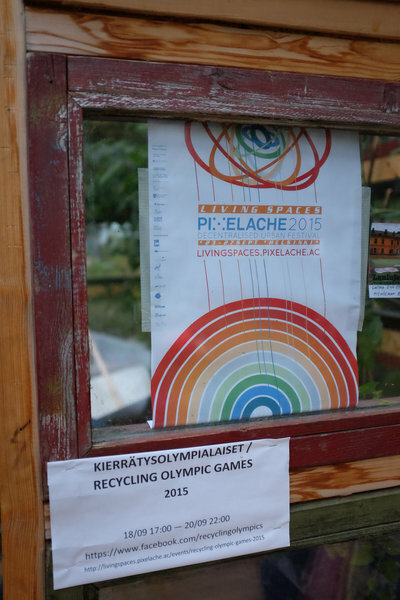 ROG was first held in 2013 as part of Pixelache/Pixelversity's Trashlab project. 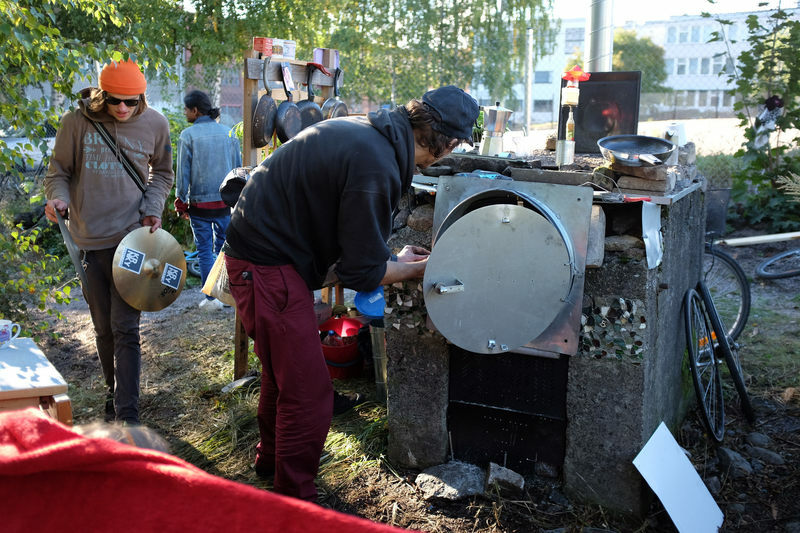 This year's ROG is presented as part of the Living Spaces festival, and will be located in Seppo Renvallin Puisto, an urban park that has been the site of many impromptu grassroots activities over the years. The winner will be announced on Sunday at 18:00 during the awards ceremony, which is open to call. The following Friday, during the festival, the Olympic Village will be open for an afternoon barbeque and presentation. The teams will compete for 1st, 2nd or 3rd place and will be arranged to represent a country or region. Various events will challenge the teams with a variety of tasks such as building dwellings, cooking, and fashion -- all with the constraint of 'no budget' for these projects (except for some basic devices for connecting materials). For one weekend, competitors will live, sleep and eat among the re-purposed detritus of Helsinki. Each team will have some local assistance to help them with ideas of where to find materials. The environment created during the Recycling Olympic Games provides a unique and dynamic environment to push participants to use recycled materials in search of creative and sustainable design practices. By bringing international participants together, ROG creates a peer learning environment comprised of individuals from many different backgrounds, educations and cultures in order to create a more diverse knowledge base for creative problem solving. Through a competition focused on the application of creative problem solving and design, ROG also highlights the amount of waste which is amassed, surrounds us and threatens to overwhelm us without the promotion of alternative systems of waste management. Some of us recycle for financial sustainability, others for convenience and still more for ecological ideals ... but for whatever the reason, we can improve on our practices through the competitive, peer-learning environment created during ROG. Kitchen & Cooking - Build a space for cooking, preparation of meals and prepare a meal all using recycled/skipped materials. Electricity/Energy - Build a generator using skipped/recycled/found materials. Furniture - Create a series of furniture based on the needs of the site skipped/recycled/found materials. Sanitation - Build a functioning shower/hot-tub/sauna and/or toilet out of skipped/recycled/found materials. Amusement/Recreation - Create a series of play equipment based on the needs of the site skipped/recycled/found materials. Trashion - Create a line of clothing for all seasons using skipped/recycled/found materials. *NOTE! all constructions should be 'removable', or easily dismantled, or 'temporary'! If you would like to compete in this year's Recycling Olympic Games, please fill out the registration form below. 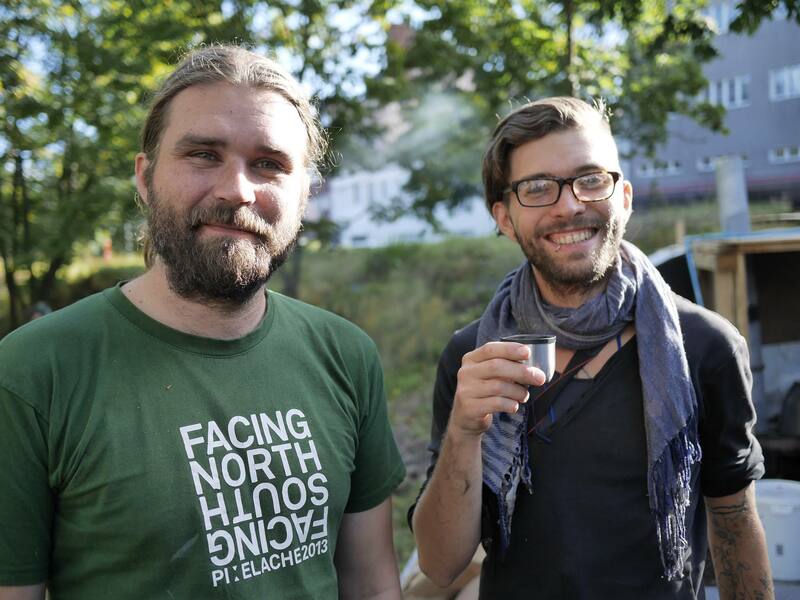 Applicants can apply as individuals (and assembled into teams by Pixelache organisers), or as a team.